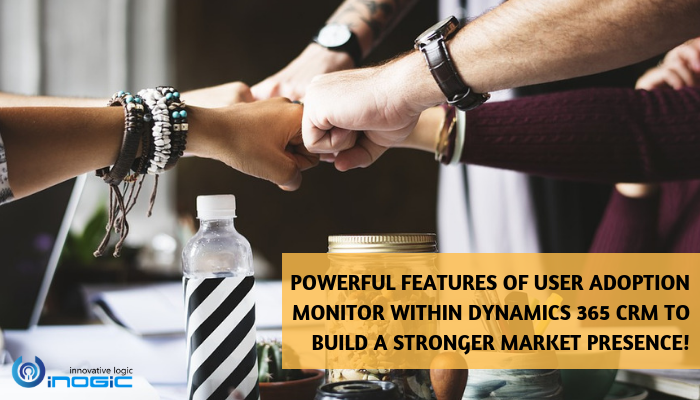 Powerful features of User Adoption Monitor within Dynamics 365 CRM to build a stronger market presence! 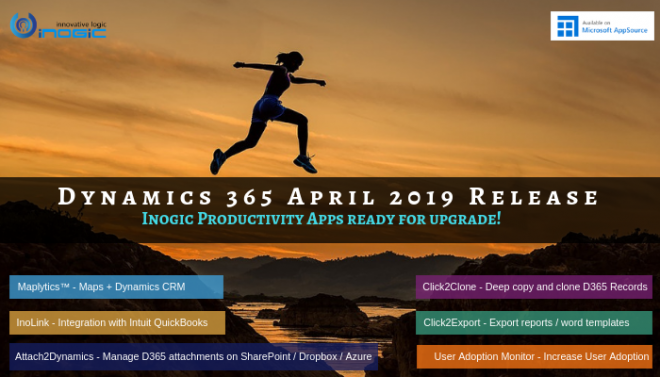 In our last blog we covered some prominent features of User Adoption while in this blog we will focus on some of its powerful features and how a combination of your Dynamics CRM with User Adoption Monitor for activity tracking can help your business presence grow! We know that in the emerging trends of today’s business world you need to have an employee base that is efficient, dedicated, diligent and productive. Sharp skill of the employees to grasp the latest technology and implement it smartly is a win-win situation for the employees and organization. User adoption portrays how the users adapt to a software/system (Dynamics CRM in our case). To measure the productivity of users, the manager needs to trace their activity. This creates room for monitoring and tracking of user’s activity in order to make optimal use of Dynamics CRM. To bridge this gap, we have a productivity tool User Adoption Monitor. UAM enables the manager to keep track of the activities of its licensed users within Dynamics CRM. This productivity tool facilitates tracking the actions on OOB and custom entities. The operations can be performed on entities after configuration. Few most commonly used actions on OOB and custom entities are login, create, delete, read, etc. The timestamp and actions on these entities are stored within Dynamics CRM and can be tracked by the manager while assigning tasks. Manager can monitor user activity within Dynamics CRM without interfering in the system’s backend and frontend processes. This enables the manager’s task of monitoring the productivity of each user even more proficiently. It elevates the level of business thereby giving the manager an opportunity to assign tasks to the team/users based entirely on competency. The manager can track the opening of a record by creating a record of “User Adoption Entity Configuration,” Entity. This process can be customized further in order to track the opening of record within Dynamics CRM. Although, in the process he might not be able to see what changes are made, but he can still monitor when the record was read/opened along with the time stamp. User Adoption Monitor also facilitates the manager to picture the Leadership and Performance Dashboards in Dynamics 365. It is a graphic method to track the user activity. There are two approaches to configure the dashboard viz. per Entity/Action/Period and per User/Period giving the manager a clearer image of user activity. To know how to monitor User Adoption by dashboards click here. User Adoption Monitor tracks and monitors the users within Dynamics 365 CRM. It gives a bird eye view to the manager who can pin-point the user activity within Dynamics CRM 365. It tracks activity of users on daily, weekly or monthly basis. These features make UAM a powerful tool which puts the manager in a position to study user behavior and assign tasks based on skills. This amplifies the productivity in multifold and leverages the business ROI. These were few features of User Adoption Monitor that enable raising your market presence in an exceptionally powerful manner by assigning the right task to the right user. Thanks for going through the blog. We are excited to receive feedback from you in the comment section. Also, don’t forget to give your suggestions for further releases and be a game-changer. Download UAM here or from Microsoft AppSource!